Xeros, based in the Advanced Manufacturing Park, near Rotherham, manufactures washing machines in which the use of water is largely replaced by polymer beads. The company is commercialising technology developed at the University of Leeds, and says its systems typically require more than 70 per cent less water, 50 per cent less energy and 50 per cent less detergent than conventional machines. Brand8 PR agency Leeds was appointed following a three-way pitch. The agency has been tasked with raising awareness of the company’s proprietary technology and its key commercial and environmental benefits within target sectors including the hospitality and commercial laundry industries. Xeros is manufacturing and marketing the first genuine innovation in laundering for 60 years, thanks to the polymer beads’ ability to gently agitate stain and soil from textile surfaces easily. The beads’ resilience means they can be used for hundreds of washes, without losing their effectiveness. Brand8 PR agency Leeds managing director, Rob Smith, said: “We’re communicating a transformative technology with huge environmental and commercial benefits. It’s a truly innovative proposition and one which we firmly believe will revolutionise how we all wash our clothes. There is significant and rapidly-rising interest in Xeros’s products, not just in the UK but the US and other countries too. 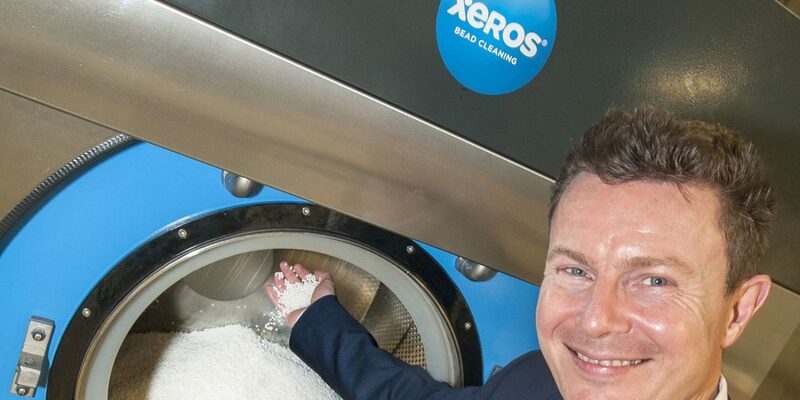 Current Xeros partners include: national laundering provider Johnsons Services Group; premium dry cleaners Jeeves of Belgravia; international washroom hygiene, mat, workwear and textile solution provider the CWS-boco Group; and several organisations in North America.